We’ve all heard the story of the preacher’s musical son before: the Stetson Stratoliner-wearing, bearded dreamer who up and moved to Nashville with nothing more than a Martin and a prayer. Caleb Elliott isn’t that. His story is something wilder. It comes from some place deeper. It’s a story the lanky, long-haired Louisianan has begun to tell on his debut album Forever to Fade. The swamp-art-rock record bridges the distance between the classically-trained sideman he was to the songwriting frontman he’s become; the 480 miles between his musical origins in Natchitoches and Lafayette to his new home in The Shoals of Alabama; and the shift between a gothic upbringing inside a cult-style religion to finding mental and artistic liberation. 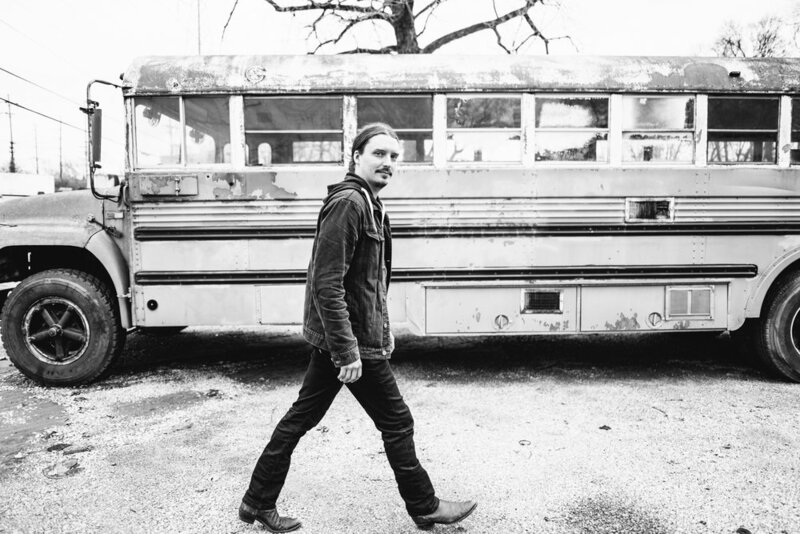 While riding in the backseats of tour vans with Nicole Atkins, Dylan LeBlanc, and Travis Meadows, and backing other artists like Lera Lynn, John Paul White, Donnie Fritts, and Sean McConnell in the studio, Caleb never stopped writing his own material. Along with producer Ben Tanner (Single Lock Records co-founder and keyboardist for Alabama Shakes), Caleb layers soulful string scores over that booming, dirty-sweet groove that gave name to the Muscle Shoals Sound and John Cale-inspired arrangements. Forever to Fade shows he’s ready to take the wheel.